ZAP POW started in 1969, spearheaded by Dwight (member of “The Sharks”). He brought in Max Edwards (drums), the late, great Mike Williams (drummer for “Caribbeats”) on bass/vox. He brought in a horn section of Glen Da Costa (sax), Joe McCormack (trombone, vox) and David Madden (trumpet). Their first hit, “This Is Reggae Music” topped the charts in 1970; followed by their debut, “Revolutionary Zap Pow” (1971). In 1975, a youthful Beres Hammond came on board and truly elevated the sound. His work on “Zap Pow Now” (1976, Vulcan) helped this album to bust the charts. 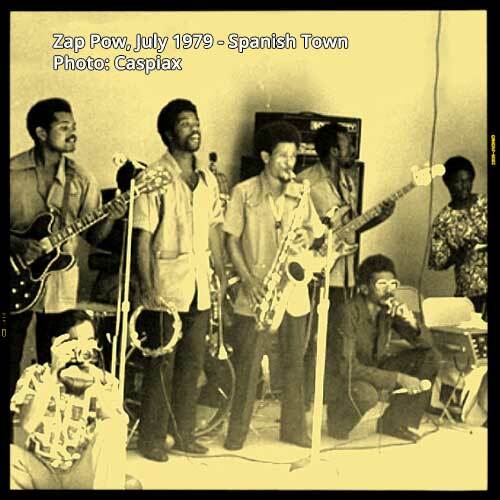 Their final album, “Zap Pow” (Island,1978) achieved more international appeal. The group went separate ways in 1979 with members making continual impact for years to come. Amazing how many legends passed through this group: Bunny Ruggs, Jacob Miller, Larry McDonald , Gibby Morrison, Richard Johnson and Cornell Marshall. 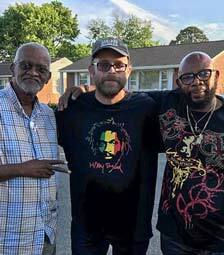 Their decade of impact as a group has left a Lion paw imprint in Reggae music history. 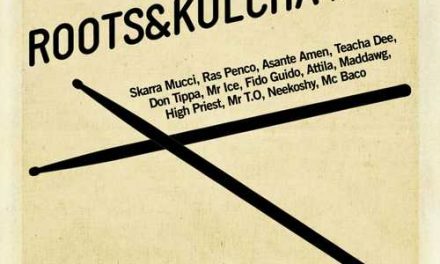 The new project is a sweet balance of new tracks and history recalling tracks of the original lineups and three tracks with The Roots Radics (the riddim powerhouse that Dwight has been with since original Zap Pow parted ways). The “new” lineup consists of original members Dwight, Glen Da Costa, Richard Johnson (keys) and Gibby Morrison (bass). They have kept in tradition, bringing in a roster of SOLID and rising talent. Geoffrey Star commands on lead vox. Arnaldo Bolt taut on drums with journeyman trumpet master Everol Wray sky high. Fiona Forrest adds solid backing vox. Sessions took place at Frontroom Studio (Kingston) with Gibby engineering the musical train just right with the master mix man Christopher Daley on board. “Overworked Underpaid” kicks it off in fine style. 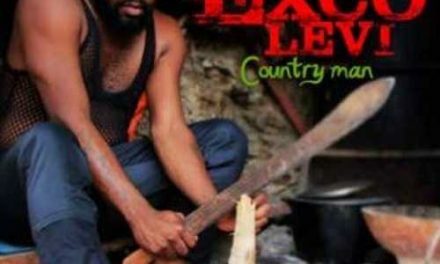 Geoffrey Star has a smooth delivery over a taut riddim with horns up. Anthemwise with vibrations that recalls Chalice’s timeless “Dangerous Disturbances”. Urgent with a global appeal! “Brother’s Keeper” is a real treat. A triumphant ode to The Most High with Dwight, Glen and Gibby meshing just right with the additional members. “King Of Reggae” continues the fresh imprint in style. 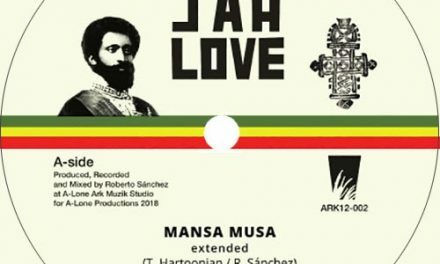 Written by Glen Da Costa, this livication to Robert Nesta Marley has a Wailers feel embedded within. From Glen and Everol’s sky high horn arrangements to Mr.Bolt’s one drop style and Dwight’s Fyah guitar, this is real deal situation drawing on a good card. History recalling on “This Is Reggae Music”! A youthful Michael Williams pours out Heart and Soul on this international hit fueled by original ZAP POW lineup. This track stands the test of time. “Reggaemania Jam” is a new track that has infectious power that’s on par with the group’s finest ’70’s moments. A Dancehall tinged arrangement written by Glen; Mr.Star demonstrates his vocal prowness and Glen’s sax work is just amazing. This collective has it going on for sure. At first listen, “Compatible” might sound like a cover of Dennis Emmanuel Brown’s classic, “Inseparable”. It’s actually a flawless Love strong with Geoffrey sounding like a youthful Maxi Priest. The musician manship, arrangements and production demand repeated listening!! Standout selection. Gladness to hear a variety of Roots, Lover’s and Reality from the present lineup. “How Could I Live” is one of Dwight Pinkney’s most celebrated songs that remained consistent in Roots Radics movements and his superb solo albums. Brother Dee is commanding on this beautiful song with Roots Radics backing and Beres Hammond/Pam Hall adding crucial backing vox. A seriously fantastic piece of Reggae history. “Sweet Lovin’ Love” is a firm look at the impeccable vibes of the original ZAP POW lineup. The ethereal instrumental flows just right punctuated with Dwight’s guitar riffs, Glen/David Madden’s hornsmen blasts and Michael Williams’ lilting bass work. “Just Do It” is ZAP POW 2017 in fine style. Geoffrey delivering like a true veteran and imploring people to stay proactive. 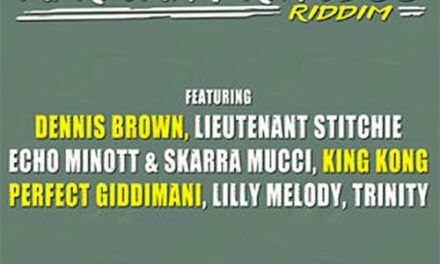 The riddim is a textured orchestration of spot on musicians in complete unity. A flex of Roots and Funk that blends into radio ready frequency. “Run Up Them Mouth” is a crucial piece written by veteran keyboardist Richard “Tee Birdd” Johnson, who bubbled with Roots Radics for many years and remains one of the best in the business. A Roots Rocker with Mr.Star showing his versatility and delivering a keen observation of humanity’s devious ways. The riddim detonates with Gibby’s bass, Arnaldo’s taut drums and Richard’s broad bubbling. Instant rewinder! “One Away Man” is another classic from Dwight. His Soulful and emotional vocalisms reflect his many decades in the business. Fueled by Roots Radics; this is a skanking delight all night! “World Peace 3” is another Roots Radics classic with Dwight on lead vox that was a highlight on the Roots Radics album of the same name. A powerful piece with Mr.Pinkney’s credentials reaffirmed as a superb singer, musician, arranger. The final new track, “Price Of War” is lyrically and riddimatically potent. A Reality piece written by Everol, Geoffrey carries it forth in dynamic style. This is undiluted message music fueled by a rock solid riddim and mix by Mr.Chris Daley. His mastery is felt throughout. The final two tracks are devoted to important ZAP POW power in the ’70’s. A youthful Beres Hammond is stunning on “Let’s Fall In Love”. His sweet voice in on full display when this chart topping track was realized in the mid ’70’s. Classic! “Some Sweet Day” is a Glory filled track brimming with inspiration and hope. Shows the Heart and Soul this group realistically showered on the MASSIVE during this Golden era of Reggae Music. 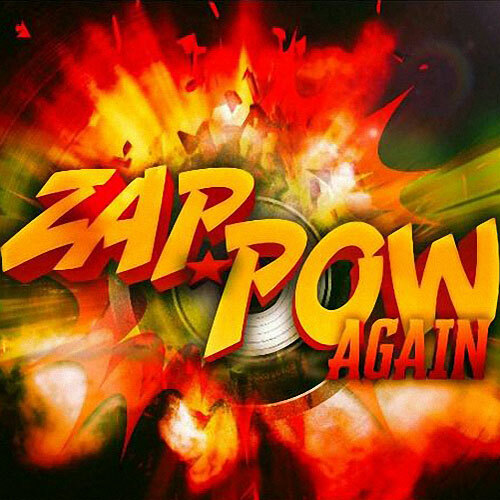 Conclusion "Zap Pow Again" is a full spectrum album with solid offerings for fans, old and new.